The Sparco Competition RS-4.1 offers drivers a great balance of a lightweight suit and breathability. The suit is constructed with three layers, offering excellent protection and durability. 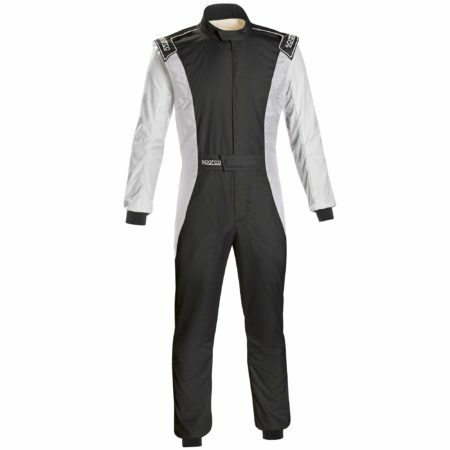 The race suit has a non-quilted design, giving it a modern and clean look. The RS-4.1 has floating sleeves and various stretch panels, giving the driver maximum range of movement in the cockpit as well as being comfortable. The Sparco suit has concealed pockets and a Velcro waist band. The RS-4.1 has been approved to FIA 8856-2000 standards.